When you live in Canada, you must have an adequate heating system in order to get through the winter. Different homes have different resources; for example, some people use a furnace while others have a heat pump. As experts suggested, it is important to keep in mind however, that there are risks associated with using indoor heating, particularly if the device in question is not taken care of properly. Obviously, your family comes first. That is why you should have working smoke detectors in your home. 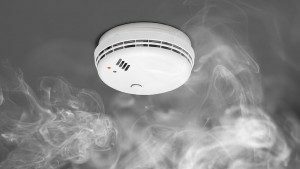 Your home must include multiple smoke detectors and a carbon monoxide detector. Home fires are preventable. However, once a fire begins, it spreads quickly. Smoke fills the living space, making it difficult to breathe and often preventing escape. Smoke detectors alert you to the danger you are facing, while there is still time for you to vacate the premises and to help your family members get to safety as well. Depending on the size of your home, one smoke detector is often not sufficient. For example, if you have multiple floors, you should have (at minimum) one smoke detector per floor. In addition, there should be smoke detectors located just outside of the bedrooms, so that you can clearly hear an alarm even when you are sleeping. Finally, it is important to create a fire safety plan so that your family will know what to do in the event of an emergency. In addition to smoke detectors, it is important to have a carbon monoxide detector in your home. There are heating and air conditioning systems that are at risk of allowing toxic gases to seep into your living space. Unless you have a carbon monoxide detector, you would have no idea that this is occurring until it is too late. There are smart thermostats available that give you additional information in the event that something happens in your home. For example, the thermostat can indicate where the smoke originated so that you can figure out what is going on. Obviously, you do not want your smoke detector to go off at all. To that end, it is important to make sure your heating and air conditioning system is well-maintained so that there is less chance of a problem. Also, do a walk through of your property to make sure that you do not have flammable materials near your heat sources. Finally, you can’t just sit back and relax knowing that you have smoke detectors on your property. Check them every 30 days to ensure that they are in good working order. Can You Beat The Heat?